Gerald Butts, a longtime friend of Prime Minister Justin Trudeau and until recently his principal secretary, gave this written statement to the House of Commons justice committee as he began testifying on his dealings with former justice minister Jody Wilson-Raybould on SNC-Lavalin. Butts told the committee the written statement is longer and more detailed than his given testimony. You can watch his statement as delivered in the video player above. Thank you for having me here today. I would like to acknowledge that we are on the ancestral lands of the Algonquin people. I want to say at the outset that I am not here to quarrel with the former Attorney-General, or to say a single negative word about her personally. Nor will I say a single negative word about any of my other former colleagues. They are good, honest people who do incredibly difficult jobs well. I am thankful for the many years I've spent working with them on so many important and complex issues. What I am here to do is to give evidence that what happened last fall is in fact very different from the version of events you heard last week. It is based on direct communication with the former Attorney-General and her staff, contemporaneous notes I took in meetings I attended personally, and debriefs from people who attended meetings I did not. It is also based on many meetings and briefings the former Attorney-General would have no knowledge of, though in some cases I made attempts to inform her of them. I will restrict my remarks to events I am allowed to discuss under the terms of the Order-in-Council, and have received legal counsel on how to do so. I want to make three important points in some detail. 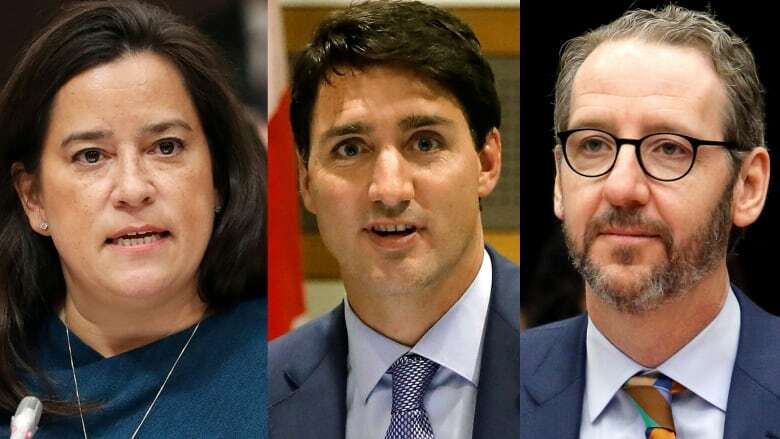 First, everyone working on this file knew that the decision to direct the DPP to enter into negotiations toward a remediation agreement in the SNC-Lavalin case was the Attorney-General's to make, and the Attorney-General's alone. We also knew that the decision, whatever it was, would have a real impact on thousands of people, and we took our responsibility to those people very seriously. We respected the Attorney-General's authority at all times, and did our jobs with integrity at all times. Second, while the Attorney-General is the decision maker on remediation agreements, the Prime Minister is the decision maker on Cabinet shuffles. I will provide you with detailed evidence that the January Cabinet shuffle had nothing whatsoever to do with SNC-Lavalin. I apologize in advance to the people whose confidence I must break in order to meet the terms of this Committee. Third, I believe that this is a story of two people who hold high office, the Prime Minister and the former Attorney-General, both of whom did their jobs to the best of their abilities, as did their respective staff. There was no malice directed toward anyone personally or professionally. However, a breakdown in the relationship between the former Attorney-General and the Prime Minister occurred. That breakdown coloured the unrelated events of the fall of 2018 in a negative light for many of the people involved. As the main point of contact in the PMO for the former Minister of Justice, I take responsibility for it. The Prime Minister gave and maintained clear direction to the PMO and PCO on this file. That direction was to make sure the thousands of people whose jobs were, and it bears repeating, are at risk were at the forefront of our minds at all times. If anything could be done to protect those innocent people, we were told to work with the professional public service to make sure that option would be given every due consideration. He told us to keep in mind at all times that the decision to direct the Director of Public Prosecutions to enter into negotiations for remediation agreements rests with the Attorney-General, and the Attorney-General alone. We implemented that direction faithfully and with integrity. I was personally involved in the file on only a few occasions, but it was principally my responsibility to ensure that the Prime Minister's direction was followed by PMO staff. I have no doubt that they did so to the highest standards. So it was and is the Attorney-General's decision to make. It would, however, be Canadians' decision to live with. Specifically, the 9000-plus people who could lose their jobs, as well as the many thousands more who work on the company's supply chain. The heart of the matter is that the Prime Minister and those around him believed that this is a real and significant public policy challenge that deserves a robust and thoughtful response. This is an important point. At no time did the Prime Minister or anyone in the government direct or ask the Attorney-General to negotiate a remediation agreement. The former Attorney-General confirmed that last week to this committee. So what, exactly, was staff talking to the Minister about? We had a view that it would be appropriate for her to seek independent advice from an eminent Canadian jurist or panel of jurists. We believed that this was appropriate, first, because the law empowering the Attorney-General to use remediation agreements is new. Indeed, this was the first time that entering into a remediation agreement under the new regime was even possible. Second, we felt that outside advice was appropriate because of the extraordinary consequences of a conviction. The fact that the company involved employs so many people across the country heightened the public importance of the matter. This view was informed by counsel from the public service. That was the entirety of our advice to the Attorney-General, which we made clear she was free to accept or not. We also made clear that, if the Attorney-General accepted our proposal and took external advice, she was equally free to reject or accept that advice. It was not about second guessing the decision; it was about ensuring that the Attorney-General was making her decision with the absolute best evidence. Fresh in our minds was a recent Federal Court of Appeal decision that had found that the government had not conducted consultations sufficiently in connection with the TMX pipeline. That was the substance of the discussions that the PMO had with the Attorney-General and the Attorney-General's office. When you boil it all down, all we ever asked the Attorney-General to consider was a second opinion. I am not a lawyer, and cannot give legal advice. But I have extensive experience in government. When 9000 people's jobs are at stake, it is a public policy problem of the highest order. It was our obligation to exhaustively consider options the law allows, and to be forthright with people in explaining the Attorney-General's decision, in order to be able to demonstrate that the decision was taken with great care in careful consideration of their livelihoods. We learned last week that the Director of Public Prosecutions made her decision not to pursue a remediation agreement on September 4th, and that the Attorney-General was out of the country until September 12th. In that version of events, the Attorney-General made the final decision after weighing all of the public interest matters involved in just twelve days. Imagine for a moment that on September 16th, the day the former Attorney-General told this committee the decision was made, firmly and finally, that she made a public announcement to inform Canadians of that decision. What would be the rationale? There's another important point here. I learned for the first time while watching the former Attorney-General's testimony that she had made a final decision on the 16th of September. My understanding is that nobody in the PMO or PCO knew that at the time either. In fact, it is not to my knowledge how the law works. My understanding, which was informed by the public service and lawyers in the PMO, is that the Attorney-General's power to direct the DPP extends until the time a verdict is rendered. My further understanding is that the Attorney-General is free to take advice on the decision until that point, and is obligated to bring fresh eyes to new evidence. I believe the former Attorney-General confirmed this in her appearance here last week. The DPP considered the matter again itself in late September, when new evidence was presented by the company, and the DPP made a fresh decision on October 9th, 2018. It was in that spirit that Mathieu Bouchard and Elder Marques had a discussion with the former Attorney-General on November 22nd, 2018. They discussed a memo prepared by lawyers in the Department of Justice that described the option to seek counsel from an eminent jurist. It was also the subject of my and the Prime Minister's Chief of Staff's one meeting on this file with the Attorney-General's Chief of Staff, which I will happily answer questions about. In any case, that was our operating assumption. The decision was not made, and we were free to inform it with advice. In the end, it was the Attorney-General's alone to make, and it would be for all of us to explain. Most importantly, it would be for many thousands of people to live with. I believed this was a shared operating assumption with the Attorney-General and her office at the time. And I never received any legal or policy advice that contradicted that. Following the September 17th meeting the Attorney-General had with the Clerk and the Prime Minister, I was debriefed that the next step on the file would be to have the Clerk and the Deputy Minister of Justice meet with the Minister. That is my full recollection of the meeting, which I can confirm I did not attend. That seemed like a prudent course of action to me, and I went back to doing what I was doing 24/7 at the time: working on the NAFTA negotiations. If the Attorney-General had made a decision, and communicated it to the Prime Minister and Clerk, why would there be a next step at all? Why would the Attorney-General take and solicit meetings on a closed matter? Moreover, why would the Attorney-General not communicate her final decision in writing to the Prime Minister? Minister Wilson-Raybould's preferred method of communicating complex or important matters is in writing, which I appreciate. I have studied lengthy memos from the former Minister on subjects as diverse as the appointment of a Supreme Court justice, the TMX pipeline process, and the work of the Cabinet Committee on Reconciliation. Yet, in all our texts and emails, which begin the summer of 2013, there is not a single mention of this file or anyone's conduct on this file until during the Cabinet shuffle. This is a basic and important point. If any Cabinet minister is made aware of something they think is wrong, I believe at a minimum they have an obligation to inform the Prime Minister soon after they become aware of it. If it is a question of law and that minister is the Attorney-General, the obligation to inform the Prime Minister is of an even higher order. And it ought to be in writing so that its significance isn't lost on its lay audience. Personally, I spoke with the former Attorney-General once on this file, on December 5th 2018. In three-and-a-half years in government, we had one brief discussion about this. She raised it with me at the end of a two-hour dinner at the Chateau Laurier hotel. She asked for the meeting via text message. On November 26th, she wrote: "Hey there GB — do you want to chat? I have a number of things to bring up, maybe you do as well? Tomorrow after Cabinet perhaps? Thx Jod." I replied "Sure. I'm heading to Toronto right after, but could delay 10 mins." She replied "Happy to chat another time with you if heading to TO. Think this convo may be a bit longer than 10 mins." We could not arrange our schedules to meet for a couple of weeks. It was a busy time. We were preparing for the G20, the new NAFTA signing ceremony, and the first First Minister's Meeting with Premier Ford. Minister Wilson-Raybould solicited the meeting with me. She also raised the subject with me. She asked if I had a view on the file, and I said I understood our offices were working together on ideas. We talked briefly about the idea of asking a retired Supreme Court chief justice for advice, but I noted that I had no expertise in the matter. I believe the "Harper" comment she referred to was in the context of that discussion. She said that what Elder and Mathieu were proposing had never been done before. I said my understanding is that remediation agreements are brand new to Canada, and the PPSC itself was not very old, having been brought into being during the Harper years. My suggestion was that it is a legitimate public policy discussion to have in this circumstance, and it would help clarify the Attorney-General's powers in this and any subsequent case. I suggested she speak with the Clerk or the public service for more-expert advice. I said that it was her call, and I knew it was her call. I have no memory of her asking me do anything, or to speak with staff about any aspect of the file. At no time did the former Attorney-General suggest that Elder and Mathieu had done anything wrong. There was nothing remotely negative about the exchange from my perspective. In fact, I walked away from dinner thinking it was the best discussion we had had in a while. We had both been busy with files that were not related to each other, and the Minister and I had not had a good chance to catch up since we last had dinner at the end of July. I talked mostly about climate change, the pollution pricing policy, the Saskatchewan court challenge, and the strategy to deal with the new configuration of Premiers around the First Ministers' Meeting table. I asked her advice on the LAV contract issue, and we talked about the upcoming by-elections in BC. She had on her mind the civil litigation directive regarding Indigenous peoples, and various other matters unrelated to the file you are examining. We parted that meeting as friends and colleagues, and exchanged personal text messages a couple of hours later. I wrote: "Nice to see you." She replied: "Nice to see you too. Thx for the convo. Please say alo to PM. Heard him speaking my language in his speech. Good luck in Montreal — we stick to our guns/plan we will be good." Finally, on Tuesday December 11th, the Minister texted me for the last time about the meeting. It read: "Hey there — couple things. 1. KSA/LAVs — thought about it more. have some thoughts would not mind discussing. 2. Re: Directive — I made most of changes from Elder already prior to Cabinet — can this go out? Honestly not clear as to what result was at Cabinet — hear PM wants changes but I am confident I have addressed all concerns. This is a big deal to me as you know." The directive she is referring to is the Attorney-General's directive on litigation matters involving Indigenous peoples, which was issued just before Ms. Wilson-Raybould became Minister of Veterans Affairs in January. As you will note, SNC-Lavalin is not mentioned in these exchanges at all. Gerald Butts faces the heat over SNC-Lavalin scandal: Will he help or hurt the PM? I fully accept that two people can experience the same event differently. I believed at the time that the Minister shared my interpretation of our dinner, and I only quote these messages so you can appreciate why I was so surprised to hear a couple of months later that the Minister experienced that dinner as pressure. I did not and do not see how our brief discussion of that file constituted pressure of any kind. The second and final meeting I had on the file was with Jessica Prince, the Minister's Chief of Staff, and Katie Telford. There was no urgency to attend that meeting. We said that Elder and Mathieu had discussed the issue in the spirit of helping us all defend the Minister's decision, whatever it may be. I remember that meeting very, very differently than the account given last week. I remember Ms. Prince saying that the Minister didn't want to consider "political factors" in the decision, and was worried about the appearance of political interference. I said that it is the Minister's decision of course, but 9000 people are not a political issue. It was a very real public policy issue, in my view. I said that we needed to provide a rationale either way she decided, and I could not see how having someone like Beverley McLachlin give the Minister advice constituted political interference. I also want to say that Ms. Telford's comments were reported here last week badly out of context. Ms. Telford was simply saying what we say all the time when legal matters come up in the presence of lawyers: that we are not lawyers and cannot debate the law. On the op-ed point, she was simply saying that we would do our best to support the Minister, whatever decision she chose to make in this matter. In any case, it was a brief meeting between staff, the kind which happens dozens of times a day, every day on Parliament Hill. Nobody in these meetings has the power to make any policy decision or change any law. We all have the responsibility to give forthright and honest advice to the people who do. That is the sum total of my personal interactions with the Attorney-General on this file. A brief conversation at the end of what I thought was a good dinner, and a meeting with her staff where I sought to understand her reticence to receive advice from an independent jurist. This to me begs the entire question of what exactly constitutes pressure? According to the former Minister's testimony, eleven people made twenty points of contact with her or her office over a period of close to four months. Four of these people never met with the Attorney-General in person. In my case at least, the Attorney-General solicited the meeting. That is two meetings and two phone calls per month for the Minister and her office on an issue that could cost a minimum of 9000 Canadians their job. The Minister confirmed last week that nobody ever asked her to make or not make the decision. You now know that the subject of those interactions was whether she would take independent, external advice on the matter. It did not seem to me then, and does not now, that what we did was anything other than what those 9000 people would have every right to expect of their Prime Minister. When you boil this all down, the only thing we ever asked the Attorney-General to do was to get a second opinion. And we also made it clear that she was free to accept that opinion, or not. The Attorney-General and the Prime Minister saw each other frequently. The Attorney-General could have written or spoken to the Prime Minister at any time during this process to say attempts to contact her office on the matter were improper, and they should cease immediately. The Minister could have told the people who raised it with her that they were close to or crossing a line. The Minister could have texted or emailed me at any time. However, the PMO's interactions with the Attorney-General's office were only called into question by the Attorney-General at the time of the Cabinet shuffle. I would like now to turn to my role in providing advice for the shuffle, and the reasons informing the Prime Minister's decisions. Let me say at the outset, categorically: the January Cabinet shuffle had absolutely nothing to do with the SNC-Lavalin. In fact, I spent at least as much time working with colleagues to prevent the shuffle from happening as I did in preparing my advice for it. On December 12th, the day of the caucus Christmas Party, Minister Brison approached me and Ms. Telford to tell us he was not running again, and that he would tell the Prime Minister later that day. The Minister said he didn't have to leave Cabinet right away, but that he hoped we could manage a departure some time not too far into the New Year. He said he was going to tell his constituents 2 or 3 days later. We had no idea that he was even thinking about retirement. We did all we could to dissuade him, to take Christmas to think about it, and at least give the Prime Minister a chance to talk him out of it. I said it would trigger a Cabinet shuffle, and the Prime Minister was happy with the team he had. I immediately sought help from people who know Minister Brison well to talk him out of it, at home in Nova Scotia and in Ottawa. We spent the next couple of weeks trying to get him to stay. My main political concern was our position in the Maritimes, specifically my home province of Nova Scotia. Mr. Casey had announced his retirement, and Mr. Fraser had told us he wouldn't run again. I knew if the Prime Minister chose a minister from the class of 2015, Mr. Cuzner and Mr. Eyking could interpret that as a signal and perhaps not run again either. In short, in the span of a few months we would go from holding all 11 seats in Nova Scotia with strong incumbents, to having 5 of them open. Complicating the matter further, both Minister Brison and Mr. Casey represent ridings where the Conservatives have traditionally been strong. In fact, both men were once Tory MPs. I also worried about the problem spreading into traditional Tory strongholds on the New Brunswick shore of the Bay of Fundy. A new Premier had just been sworn in after an election that divided along linguistic lines, and losing Minister Brison meant losing a recognized voice that could appeal to an important community. In short, Minister Brison's departure would put us in difficult situation. Nobody is irreplaceable in government, but Minister Brison was very important to our team. He is a highly valued friend and colleague to the Prime Minister, and to staff. So, my first piece of advice to the Prime Minister (and to all my colleagues) about the Cabinet shuffle was that we should do all we could to avoid having one. Everyone agreed, and we got to work trying to persuade the Minister to stay. Neither the Prime Minister nor anyone around him wanted a Cabinet shuffle to happen at all. And we certainly didn't want to do one the first week back after Christmas. We had done that in 2017 after the Trump election, but in that case we had over two months to plan it. This one would have to be done in a few days after Christmas, with ministers out of town and unavailable to meet in person. Why is all this so important to these proceedings? For one reason: if Minister Brison had not resigned, Minister Wilson-Raybould would still be Minister of Justice today. That is a fact. A fact that is inconsistent and incompatible with the story many are trying to tell. But it is a fact nonetheless. And facts are stubborn things. Cabinet selections are among the most difficult tasks for any First Minister. I've advised two First Ministers on 13 of them. They are all unique. The media treats them like the political equivalent of the NHL trade deadline, but the Prime Minister treats them very, very seriously. He cares deeply about the people around that table, and usually spends months thinking about who is best for what job. Almost invariably, he starts with the job and what is required of it, then settles on the person who is best suited to do it. There is no job in Canada like a federal Cabinet minister, as I'm sure Ms. Raitt and Mr. Poilievre can attest to. Whatever the portfolio, the jobs are uniquely demanding and important. In this case, the Prime Minister would have just a handful of days to factor in all of these complex considerations. And I can say to you with absolute certainty that SNC-Lavalin was not one of them. Personally, I still had hope that Minister Brison could be talked into staying until the summer, so we could avoid the whole thing. After all, it's one thing to say you're going to resign, but it's another thing to do it. The Prime Minister directed us to think about options over the holidays, just in case. He told us he wanted to move the fewest number of people possible. He said he had done his pre-election Cabinet shuffle in the summer and wanted to minimize the disruption. He reminded us that Treasury Board is an important job that few people outside Ottawa understand, but that it was vital for the basic functions of government. He said it could not be filled by a new minister. So we came back after Christmas to the news that Minister Brison would indeed resign. He said he had thought long and hard about it, but that he and his husband Max had crossed the Rubicon and decided it was time to go. This left us two large challenges that could not be solved with one person. We needed a Nova Scotia minister and a Treasury Board Chair with ministerial experience. No Nova Scotian except Mr. Regan had been a minister before, and he is the Speaker of the House of Commons. All signs pointed to Minister Philpott moving to Treasury Board. She had been Vice-Chair, so she had the experience to do the job. The Prime Minister agreed with this, but he was worried about the signal it would send to Indigenous people. This, to me, is the saddest part of this whole story. Indigenous people have been sent precisely the opposite message from the one the Prime Minister intended. The most valuable thing in any government is the First Minister's time. The Prime Minister spends a lot of his on Indigenous issues. A lot. He cares about the relationship deeply, and he takes a strong personal interest in all aspects of the file. He was preoccupied with the fact that we had the Child and Family Services legislation coming up. He thought it would be one of the most important bills the government would pass. He wanted a person in Indigenous Services who would send a strong signal that the work would keep going at the same pace, and that the file would have the same personal prominence for him. He also wanted to move someone who could be replaced from outside of Cabinet, to keep the shuffle small and contained. The right (and perhaps only) person who could do that was Minister Wilson-Raybould. The Prime Minister knew there were several capable and experienced lawyers in caucus who could be Justice Minister, but very few who could do Indigenous Services as well as she could. Indigenous Services had a large agenda left to fulfil, and most of the Justice mandate letter had been completed. The short-list for Justice included several eminent lawyers with good backgrounds, including David Lametti. The Prime Minister chose Minister Lametti because he is a distinguished McGill Law professor with graduate degrees from Yale and Oxford. He was also aware that it would raise eyebrows if he had three Ministers in very large portfolios who all represented ridings on the subway line in downtown Toronto. That was the context in which the Prime Minister made the decision to move Minister Wilson-Raybould. Neither her move from Justice nor Minister Lametti's move into it had anything whatsoever to do with SNC-Lavalin. So the plan was a simple one. Philpott to Treasury Board, Wilson-Raybould to Indigenous Services. Bring Lametti into Justice, and Jordan into the new Rural Affairs portfolio that caucus had been lobbying for. It was a simple plan for a small, tidy shuffle. The Prime Minister was going to ask a couple of senior people do jobs they wouldn't otherwise do, for the good of the team and the government. The situation started to change on the weekend of January 5th. The Prime Minister spoke to Minister Philpott in person in his office on Sunday the 6th. The Prime Minister debriefed us right afterward. He said Minister Philpott was excited by the challenge, especially the digital government aspects of her new file. She said Minister Wilson-Raybould was an excellent choice for Indigenous Services, but worried she would see it as a demotion. Minister Philpott then told the Prime Minister that she worried that Minister Wilson-Raybould might wonder if her move were connected to the "DPA issue." That was the first time I ever heard anyone suggest that this Cabinet shuffle was in any way related to the SNC-Lavalin file. The Prime Minister assured Minister Philpott that the shuffle had nothing to do with the file, and asked her if she would help with the transition of her ministry to Minister Wilson-Raybould. She said that she would, but she was clearly worried about how Minister Wilson-Raybould would react to the news. After that meeting, I spoke to the Prime Minister privately. He was clearly disturbed and surprised by what Minister Philpott had said. I said to him that he had to factor into his thinking the possibility that the assertion she made would be made publicly, however far-fetched it seemed. I advised him that he has to know in his heart that is not the reason he was moving Minister Wilson-Raybould. He replied that he knew that was not why he was moving her, and he would not change his mind. On January 7th, 2019 the Prime Minister phoned the Minister of Justice and Attorney-General to inform her that he was shuffling Cabinet, and that she would be part of that shuffle. I was present for the entire conversation, as was Ms. Telford. On his end, it took place from his 80 Wellington Street office, around 9:30 a.m. eastern time. The following is from a contemporaneous note I took during the conversation. I also have the text messages Ms. Wilson-Raybould and I exchanged afterward, and will summarize them. They are deeply personal in nature and reflect two people trying to grapple with a very difficult situation. We would have many conversations in the following week, and I am at liberty under the terms of the Order-in-Council to discuss and answer questions about them. I will do so to the best of my abilities. The Prime Minister began the call by saying that Minister Brison's sudden departure had put us in "a tough spot." He said that he didn't want to shuffle Cabinet but that he needed our "best players" to move in order to "pitch in." He said the Indigenous agenda was really important to him and to the country, as the Attorney-General knew well. He said he didn't want to move Minister Philpott, but that she was the best-qualified person to do Treasury Board because she had been Vice-Chair. He then said that would leave a large hole at Indigenous Services, and he didn't want people to think he was relenting at all on the agenda. He said he knows how much she "loves being MOJAG" but that she was one of our top people, and moving her to Indigenous Services would "show Canadians how seriously we take this." He said that "after the election, if we are successful, everything would be fresh again." There was a long pause on the phone. Minister Wilson-Raybould said that she was "a little bit shocked" because MOJAG was her "dream job." She said "IS is not my dream job. I'm not going to lie about that." The Prime Minister said "I know it is not your dream job, but it is core to this government's mission and legacy. It is core to my and your mission and legacy." After another pause, Minister Wilson-Raybould said "I feel I'm being shifted out of Justice for other reasons." I could tell the Prime Minister was taken aback by this, but he simply replied that he was doing this shuffle because he had to, and because he thinks it's the best thing for the government and the country. He repeated that he wouldn't be doing it at all if it weren't for Minister Brison's departure. He said when you lose a team member, everyone else has to pitch in. The call concluded. Then Minister Wilson-Raybould did something I didn't expect. I had never seen anyone do it before, in many shuffles, over many years. The former Attorney-General turned down a Cabinet portfolio. She said she could not do it for the reason that, frankly, I should have thought she would say, and I probably would have, had we had more time. She said she had spent her life opposed to the Indian Act, and couldn't be in charge of the programs administered under its authority. I undertook to ask the Prime Minister to consider alternatives, but I also said I had never seen a Minister turn down a ministry. I said, obviously, it's not my call, but I would try my best. The obvious question is why did the Prime Minister not leave the Minister in her old job if she turned down a new one? My advice on that matter had nothing to do with the Minister personally, and nothing to do with any aspect of her old or new job. It was this: if you allow a minister to veto a Cabinet shuffle by refusing to move, you soon will not be able to manage Cabinet. It was not possible in this instance for the Prime Minister to go further than additionally offering the Veterans Affairs post. Cabinet invitations are not the product of shared decision-making. It is the Prime Minister's decision to make and his alone to make. My advice was that the Prime Minister should not set the precedent that a Cabinet minister could refuse a new position, and effectively remain in one position for the life of the government. Over the next few days, Ms. Wilson-Raybould and I talked and corresponded many times. I knew from the course of those conversations and exchanges that trust had broken down between our office and the Minister. I was deeply concerned by what the Minister was saying. It was all a great and sad surprise to me that she could draw those sorts of conclusions about her colleagues, including myself. I tried to counter her misapprehensions with repeated, honest efforts. In the end, I unable to do so. And here we are today. I am firmly convinced that nothing happened here beyond the normal operations of government. Highly trained legal staff in PMO worked closely with PCO's legal team on all aspects of the file, to make sure that the Shawcross doctrine was adhered to. I have had some time on my hands for the first time in a long while. I have used that time to review all of my existing texts and emails with Ms. Wilson-Raybould since we met on October 3rd, 2013. I came to trust her as a valued colleague and friend over the next five and a half years. She taught me a lot about very many things. We had long, thoughtful discussions about dozens and dozens of issues, both professional and personal. She and her husband have had dinner at my house with my wife and our children. My point is that people may have a caricature in their mind based on media coverage about what a relationship between a minister and PMO staff looks like. This was certainly not that. But this is not about Jody Wilson-Raybould and Gerald Butts's friendship or working relationship. It is about the relationship between two of the most important offices in Canada: the one Ms. Wilson-Raybould held, and the one I served. Both carry duties and positive obligations for the people who are lucky enough to occupy them for the brief period of time that they do. Those duties and obligations are no accident. They exist to protect the public interest. I believe her office carries with it a duty for its occupant to inform the Prime Minister of improper behaviour, in writing, at or near the time the behaviour is observed. If the Prime Minister does not do something about it, the Attorney-General should inform the public and resign. To you, Chair, and to Members of the Committee, I want you to know this. I know it from long personal experience with the Prime Minister: if something improper had been happening, and that impropriety had been made known to him, the Prime Minister would have put a stop to it. Even if the impropriety were his own. We did what any responsible government would, of any political stripe. We worked as hard as we could, strictly within the laws and conventions of the country, to protect thousands and thousands of Canadian jobs. The Prime Minister did the right thing, in the right way, for the right reasons. As did his staff and colleagues. In closing, I want to say that I deeply regret that the former Minister's trust and faith in the many colleagues she served alongside for three and a half years has eroded so much. I take my fair share of responsibility for that tragic state of affairs. But what is happening here is not fair to the people named in her statement. They are good, hard-working people of extraordinary talent and integrity. They care deeply about their country, and they and their families have sacrificed much so they can serve it. I suspect that, like me, they learned of the former Attorney-General's specific allegations against them for the first time last week, while watching this committee's proceedings. It is the highest honour of my professional life to have worked with all of these people, and so many others on so many important matters, for so many years. And yes, I would absolutely include the former Minister among those people. 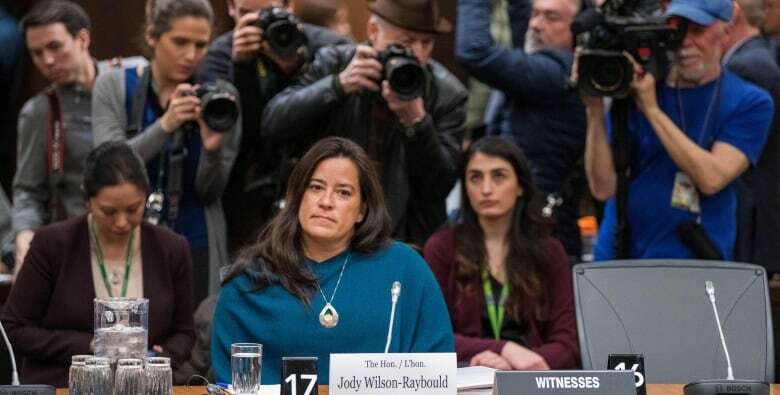 I bear Ms. Wilson-Raybould no animus, and wish her and her husband Tim well in the future. Most of all, I hope that this sad episode can be resolved quickly, so the people who still have the privilege of being temporary occupants of high public office can get on with their vital work. In closing, I want to thank the many, many friends who have reached out over the past few weeks. Your kindness is the stuff of life. I hope that what I have said today gives you the context and rationale for my resignation that I could not give you before now. It is one thing to be accused of something on the front page of the paper. It is another to be accused of it by a friend and minister. One happens all the time, the other has never happened to me before. The Prime Minister and I have been close friends for almost thirty years. That is well known. If I stayed on, his actions or inactions toward me could have been used to accuse him of playing favourites, that he was choosing his best friend over a Minister. I could not allow our friendship to be held against him, so resigning was the right and necessary thing to do for the office, and the Prime Minister. I appreciate the opportunity to put that on the record, Mr. Chair. I hope my testimony today will provide the necessary information to allow the people I have worked with on critical issues from climate change to job creation to helping people escape poverty to refocus their energies and efforts on that vital work. Thank you for all for your patience today, and your years of dedicated public service. I look forward to your questions.